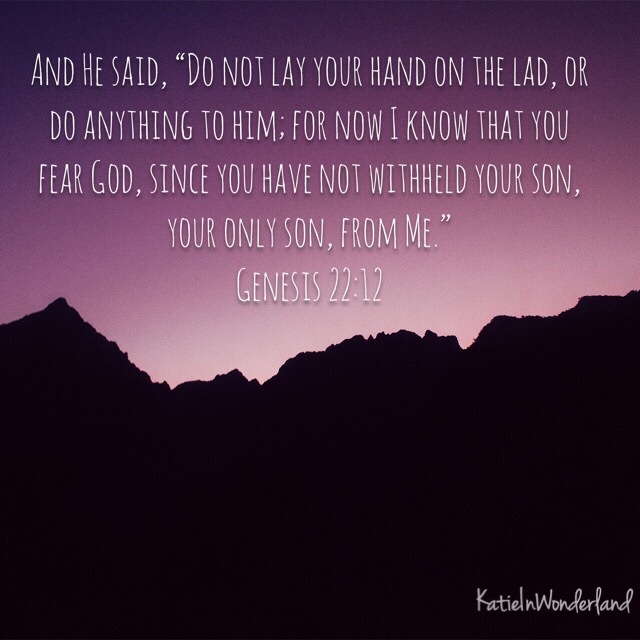 Yesterday I was reading in Genesis and it got me thinking about the story of Isaac and Abraham and how God tests Abraham’s faithfulness by asking him to sacrifice his only son (Gen 22). I was thinking of how scared Issac must have felt. He was confused and scared and didn’t understand what was going on. I often wonder if this left a rift in the relationship between Abraham and Isaac, or if Isaac heard the angel tell Abraham to spare him. I suppose in a way we are all like either at some point in our life. Sometimes we feel like Abraham, following the all of the Lord. Sometimes we are Isaac, scared and unaware of what God is doing in our life. Just something that has been on my mind lately. If you have any other thoughts on this part of scripture or have anything to add feel free to comment below!